Nassau County’s Business Recovery Center, which was established by County Executive Mangano immediately following Hurricane Sandy’s landfall in Nassau, is fully functional and has launched a new website to support its activities, which include a 24-hour hotline. The new web site, www.nassaubackinbusiness.org, contains contacts and online links for small and medium-sized businesses in need of assistance of navigating Federal and State disaster relief offerings. Since the Business Recovery Center was first announced, more than 250 businesses made inquiries through email or the hotline. The Center is housed in the offices of the Nassau County Industrial Development Agency. Financial assistance is available through the Nassau County’s Local Enterprise Assistance and Development Services, or LEADS, which offers eligible businesses with 100 or fewer employees up to $99,000 of aid through a sales tax exemption on any furniture, fixtures, equipment and material purchased for reconstruction. 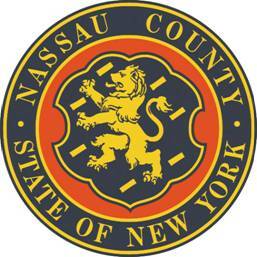 The Nassau IDA administers the program, which requires that applicants pledge to rebuild within the county. Businesses in need of assistance can call (516) 571-1745, email LEADS@NassauIDA.org for help, or visit www.nassaubackinbusiness.org. An economic development professional will respond to any inquiry within 24 hours.